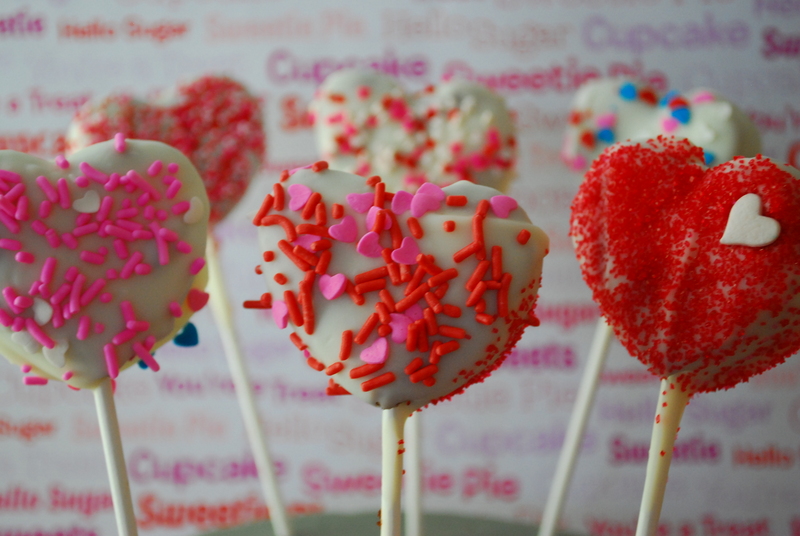 Today I’m going to share a super easy and super quick Valentine’s Day recipe with you! I’m no inventor (search “brownie pops” on Google and a bunch of these come up) but I thought they were so cute and can be customized to look so unique, so I made them, anyways. However, to spare my very fragile feelings you can always tell me I am a beautiful, brilliant inventor of unique and fun Valentine’s Day-related treats and therefore, should be crowned Queen of the World. Or Queen of the Universe. ‘World’ is kind of limiting and I really don’t like being limited. Anywho, wanna know how to make these cutie pops? Easy peasy! 1. 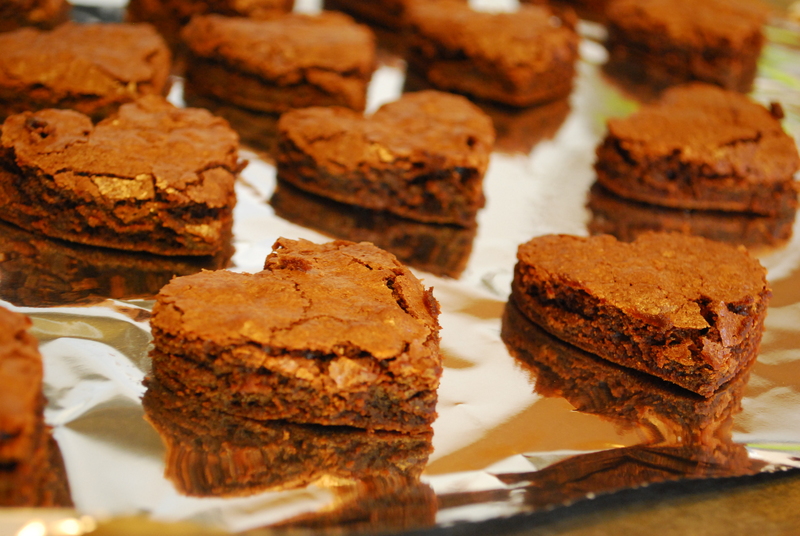 Take a small heart-shaped cookie cutter and cut heart shapes out of your pan of brownies. 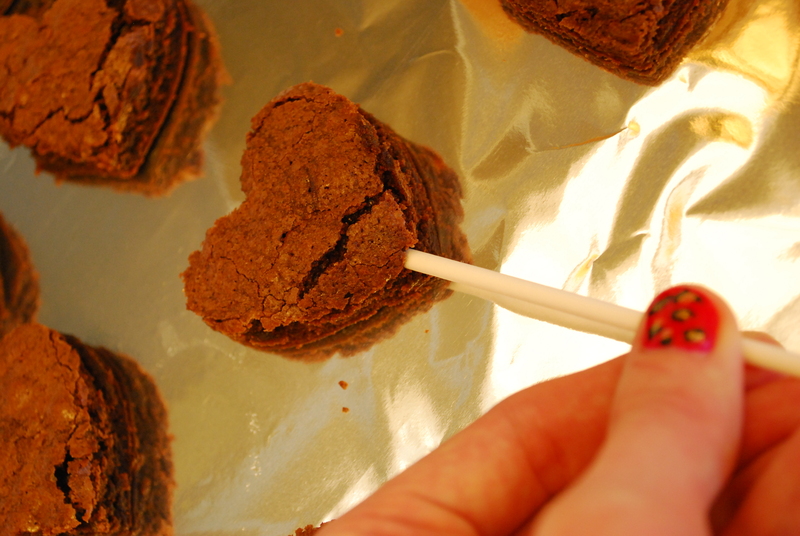 Place the heart shaped brownies on a foil-lined baking pan. 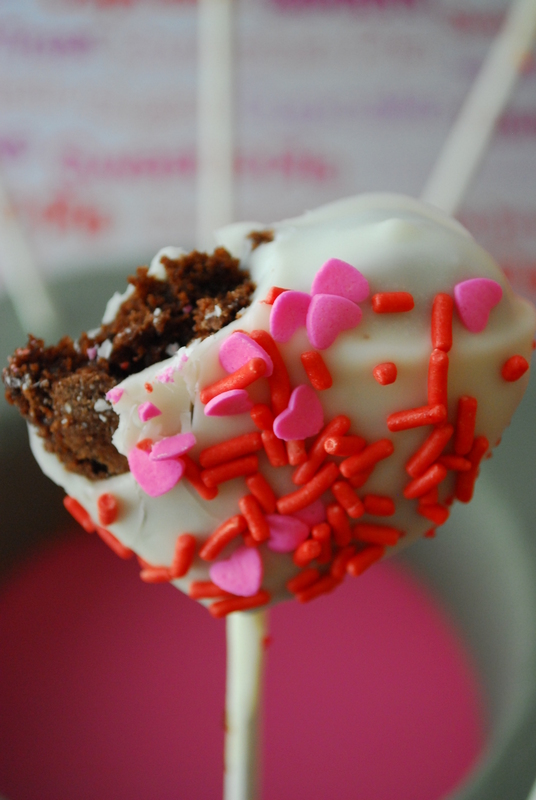 Once all hearts have been cut out, gently stick a lollypop stick in the bottom of each heart toward the mid-section of the brownie, careful not to pierce through the entire brownie (thus severing it in half). Once all the sticks are in the centers of each heart-shaped brownie, freeze the pops for about 2 hours or until cold and firm to the touch. 2. Melt the package of almond bark in a large bowl according to package directions until smooth and completely melted. Dip each frozen brownie pop carefully into the melted chocolate, coating it completely and allowing excess chocolate to drip off. Immediately place back onto the foil-lined sheet and decorate as desired. 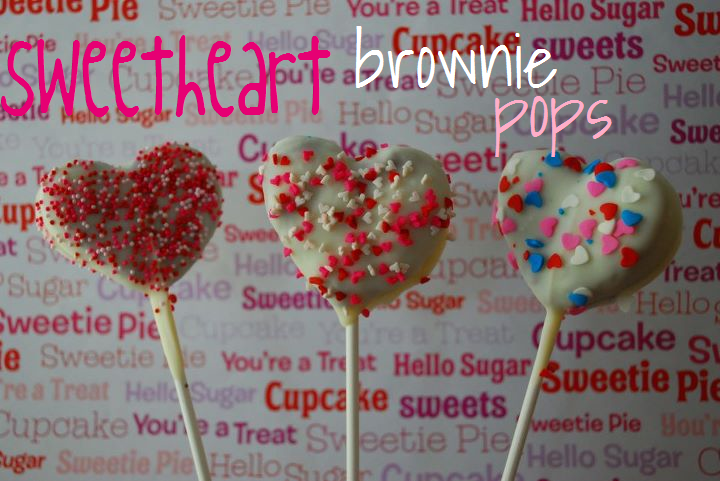 Repeat until all brownie pops are coated and decorated. Put brownie pops back into freezer to harden the chocolate shell, about 15 mins, then serve! 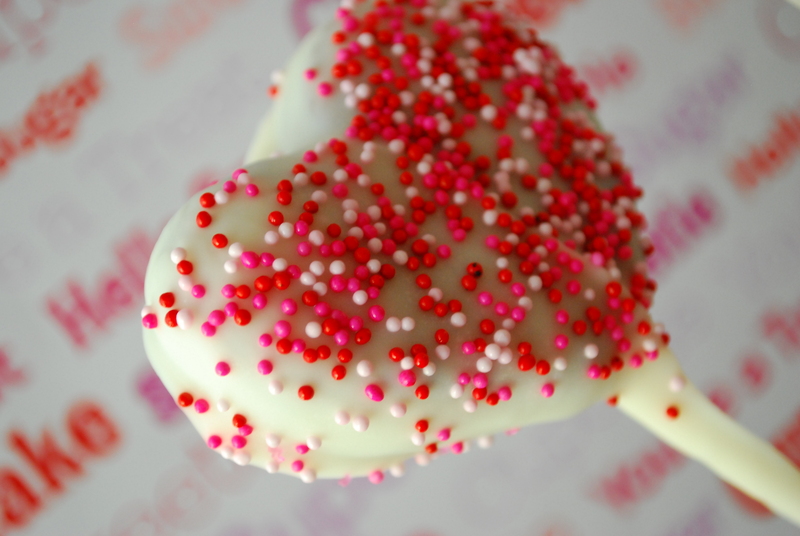 These make for an adorable gift to your Valentine, coworkers, neighbors, or for your kids to take to their class. 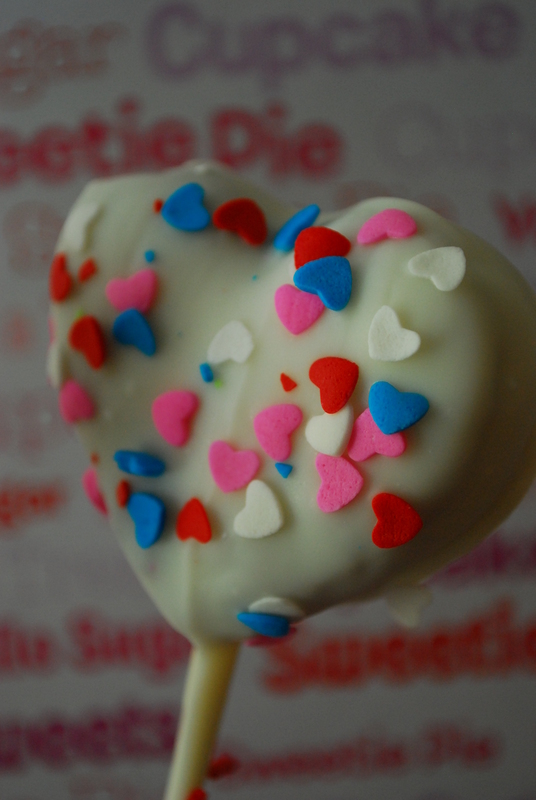 Consider attaching a cute little paper “Be My Valentine” tag to each lollypop stick to make it more personalized. See? Super duper easy. Now you have plenty of extra time to watch crappy TV shows and neglect things like the laundry or your British Literature homework!! Of course you are Queen of the Universe! These are super cute–I’m totally diggin’ the spinkles. And the fact that they’re hearts. And I love treats on a stick (portion control for me)! YES. Portion control is definitely needed for me in relation to sweets… and chips… and fruit snacks.